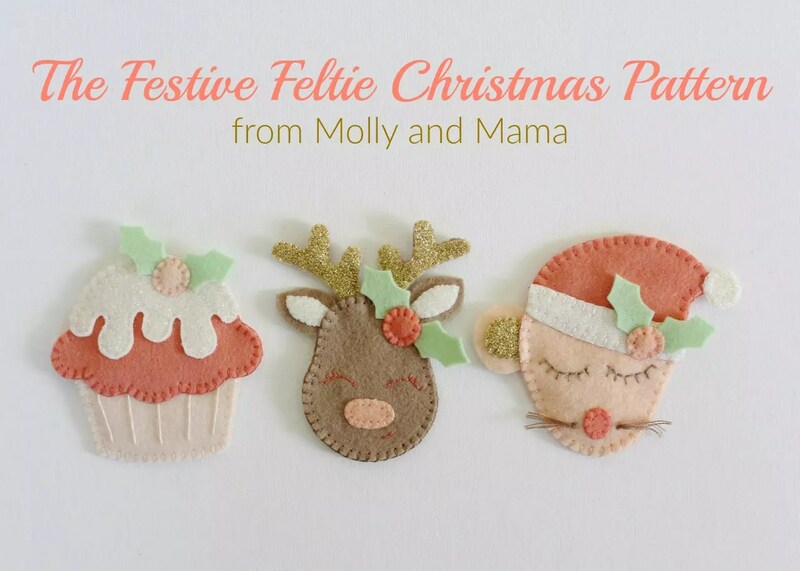 With Christmas nearly upon us, it’s the perfect time to introduce you to the latest felt PDF pattern in the Molly and Mama range. The ‘Beaded Baubles‘ are completely hand stitched in felt and adorned with metallic thread and seed beads. They’re the perfect addition to the traditional Christmas tree! The Beaded Baubles were designed exclusively for Sew Boxes’ December subscription box. The colour palette was golds and ivories, with metallic threads and ribbon, buttons and beautiful dove fabric included in the selection. Leesa wanted a felt project to complement these lovely embellishments. So I designed a very traditional style of ornament. These felt decorations can be hand stitched in an afternoon. I think the beads add a beautiful touch! You can purchase the pattern HERE, and also view the rest of the Molly and Mama pattern range. I’d love to see some baubles stitched in traditional greens and reds. And even festive brights would look nice! So if you have a go at making some, I’d love for you to share them with me. Pop by the Molly and Mama facebook page, or use the #MollyandMama and tag @MollyandMama on Instagram. I love sharing your work with others! To see more Christmas ideas, you may like the Festive Felties too. Pop by HERE to read more!